The Liberty 3-3/4 in. 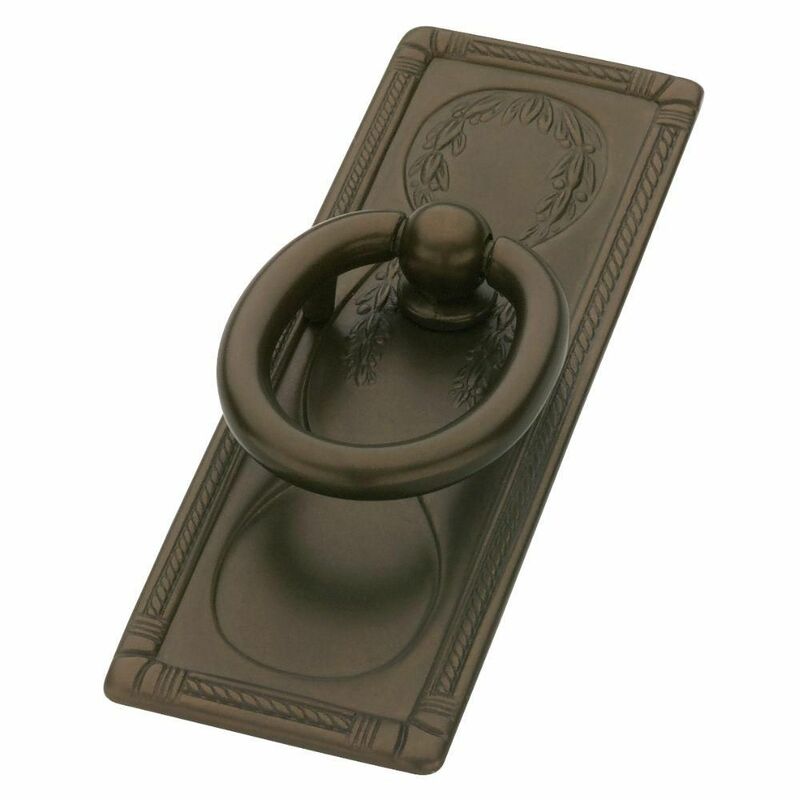 Vintage Ring Pull can help add an elegant look to your cabinetry. The finish and vintage ring design accentuate your style. The vintage ring pull is easily installed. The Amerock BP53720GPH Westerly 3-3/4in(96mm) CTC Pull is finished in Graphite. Retro is revolutionized with an industrial twist on the classic urban lines of Westerly. Features sleek, modern lines and a substantial feel. Elegant, rich and warm, Graphite is the perfect alternative for those who love a dark, smooth finish but prefer a hint of grey. 96mm Vintage Ring Pull, 1 per pkg The Liberty 3-3/4 in. Vintage Ring Pull can help add an elegant look to your cabinetry. The finish and vintage ring design accentuate your style. The vintage ring pull is easily installed. 96mm Vintage Ring Pull, 1 per pkg is rated 4.0 out of 5 by 4. Rated 2 out of 5 by Jim from Great appearance, poor design This pull looks good but the construction is not well thought out. The pull is long in length and has only one bolt just off center of the pull. The pull was press formed out of flat. I tried many different ways to get it to lay down flat on the doors and it would not. There is a gap under one end of at least 1/32 of an inch. This length of pull requires 2 bolts or a thicker body. Needless to say my customer is not happy and will require me to remove and replace this pull in the near future. Rated 4 out of 5 by BN2014 from Good looking hardware. Special order was quick and easy. Bronze color just what I was looking for. Attractive oval ring pull.